So much stuff at the supermarket tells us it’s tasty and healthy. Are you confused by all these choices? 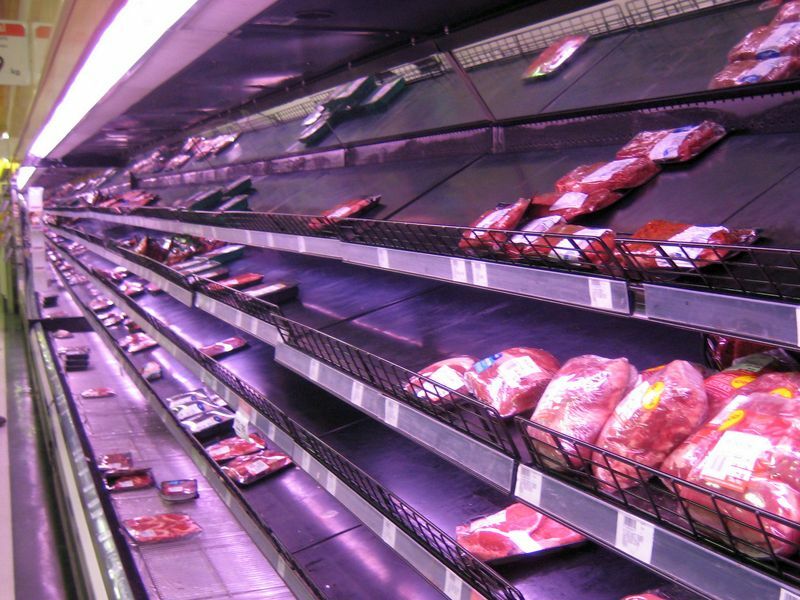 Here is how to go grocery shopping for what really is healthy – without spending a fortune. Don’t you sometimes enter a supermarket and wonder about the crazy stuff sold as “healthy choices”? I sure do. And too many people fall for those promises. It’s crazy what sometimes gets bought, because some advertisement claimed it “improves your cholesterol” or “contains xy”. It costs extra and often isn’t money well-spent. Let’s forget what advertisements tell us is healthy, take a stroll through each section in the supermarket and find out how to literally get the best out of it! The middle section of the store is mainly processed junk food, with only few exceptions. When buying veggies and fruit my recommendation is to always go organic. Organic food doesn’t necessarily contain more vitamins or other good stuff, but you can rest assured that they at least contain a lot less pesticides and fertilizers. I do understand that organic foods often aren’t exactly cheap. But there are some and you can often get a good deal if you check for what’s on sale at the moment. Some vegetables, like carrots, cabbage and celery tend to be very inexpensive, even when organic. When buying mixed greens, look for more variety and color in the bag. I also prefer fresh fruits and veggies over frozen, but when things such as berries are not in season, frozen is better than nothing and can sometimes even have more nutrients than fresh fruit. Canned fruits on the other hand often are preserved in sugary water. I love fish, as long as I keep check on the mercury levels, because it comes with a lot of omega 3 fatty acids. My favorite choices of fish are wild caught salmon, trout and tuna. Never buy fish that is already prepared and packaged to be cooked. Often there is almost more breading than fish and tons of added oil, taste enhancers or preservatives. When it comes to canned fish, I like light tuna and sardines. Just make sure you get them canned in water or tomato sauce; in oil they are a caloric bomb. When buying meat and chicken my rule is simple: Get the kind that says no hormones, no antibiotics added, free range. This produce is just about as good as organic, but actually cheaper. Most grocery stores carry one specific brand like that. Go for no hormones, no antibiotics and free range. Same thing with eggs: make sure you buy them without hormones and antibiotics. Personally, I never buy bread at the store, ever. No matter as how healthy it’s advertised, because even the whole grain breads in the grocery stores have some kind of preservatives. Same goes for the better made breads that you will find in the freezer section, they cannot possibly be fresh, so skip on bread at the store and make your own. Trust me its’ a lot easier than you think and it will taste better. Cereals these days contain way too much sugar, even the whole grain cereals always have over 15 g of sugar per serving. So when buying cereal, you should always look that if its whole grain, then the first ingredient should be the whole grain. There should not be any enriched flour of any kind. Look at the amount of sugar, if its’ more than 5 g, skip it ( unless it has dried fruit in it ). Best grains to buy are: quinoa, brown rice, old-fashioned oats, buckwheat ( raw ), amaranth. Stay aways from white breads, pasta, rice, because making them this white made them lose a lot of nutrients. Beans have a lot of fiber, they also have protein but they are an incomplete protein, meaning they don’t have all essential amino acids. You will have to pair them with something like buckwheat to get complete coverage (which is especially important for the vegans among you). When buying canned beans only get organic, plain, but preferably buy them uncooked and cook them yourself. Black beans are a great, healthy choice. 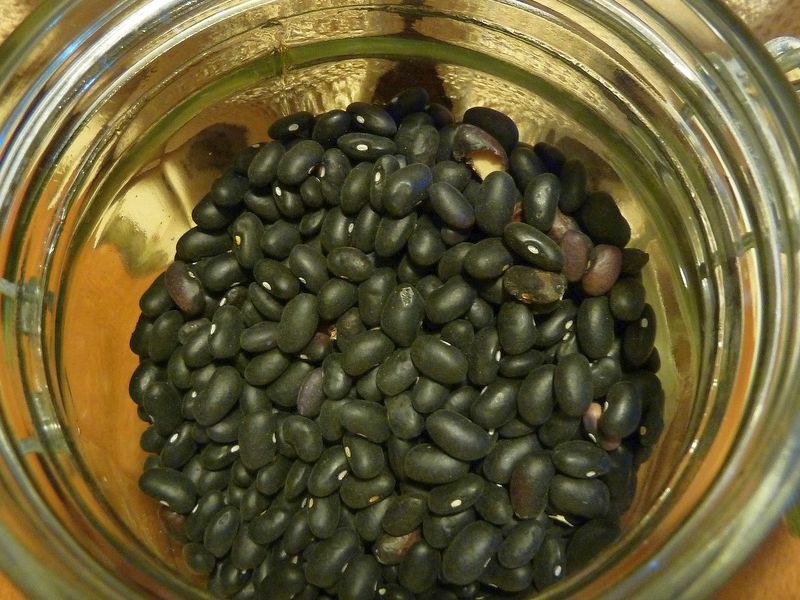 One of the best choices of beans are black beans, because of their rich protein content – they have the highest amount of protein of all beans and also are a very good source of folate and minerals. Red beans are the next best and chick peas is are a great source of folate and manganese. When shopping for nuts always buy them raw, not oiled or salted. If you can, buy them organic (I’m starting to repeat myself), which shouldn’t be too difficult, as these days many supermarkets offer organic cashews, walnuts and almonds for 5 dollars a jar. Almonds are one of my preferred choices, as they have more protein than any other nuts and contain calcium. if you can just buy those organic. Whatever your choice in nuts, do keep in mind that they are hefty in the calorie department. The best choice for oil is definitely coconut oil. I use it not only for cooking, but for cosmetics as well. Coconut oil is nature’s richest source of medium-chain fatty acids, which are more easily digested than long-chain fatty acids. This can help in weight control. My second best choice is flaxseed oil, then it’s walnut oil. Olive oil is a good choice but not as good as the ones above. I personally never buy olive oil, but that is a matter of taste. We already touched this area. In the frozen section I only recommend to buy organic berries and green peas. Green peas are actually very nutritious and inexpensive, even organic. Just one portion of them contains good carbs, protein, lots of vitamin C, vitamin K, vitamin A, thiamin, folate and many different minerals. Broccoli and other mixed veggies you can buy raw and fresh. Berries are not always in season, so frozen berries are better than no berries at all. What helps tremendously when going grocery shopping is making a plan for the week ahead and put everything on a shopping list. Not only will it save time, but that way you also know what you are looking for and aren’t tempted as much to buy junk on impulse. In that regard, it also helps a lot to not go to the supermarket when you are hungry. Because when you are, a lot of stuff will look way more appetizing than it really is. If you know some useful stuff to share that helped you make the right decisions at the supermarket, go ahead and share it in the comments! Pictures courtesy of “worak“, Angus Fraser and F. Delventhal. As always great article Tatianna, I always go shopping with my week plan and my kids can choose there favourite veggies and fruits. Almost every Thursday we go to the farmers market and my oldest which is 5 always buy Broccoli ( she love broccoli like chocolate ) and banana, the youngest soon to be 3 buys carrot and apple! I love to buy veggies from the farmers market when i can they are much fresh than the supermarket. Haha my kid just posted an article on this same topic.Funny how many people can not shop well.Scary how many athletes can’t cook. I try to follow a similar shopping guide, but I ALWAYS by plain non-fat Greek yogurt, for the great protein, low calorie, and low carb. I mix it with my fruit and/or whole grain cereals. I also use it in place of sour cream.